Deep dive into why this “dot-com bubble” company stock (theGlobe.com) is a stronger buy in 2019 than it was 21 years ago when it made IPO history. 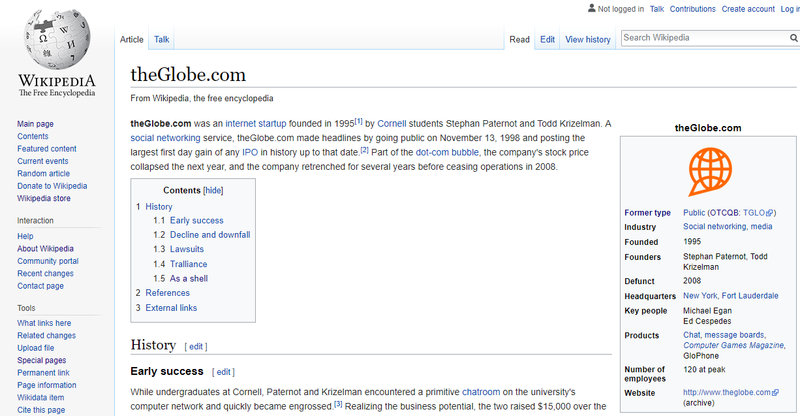 An interesting snapshot of a page referenced by Wikipedia’s entry for theGlobe.com’s IPO (reference number , footnote number 2) which externally links to what you see above and an archived snapshot of an article from “Dawn Kawamoto” Staff Writer for CNET News. TheGlobe.com took Wall Street by surprise with its initial public offering this morning, blasting out of the gate with its first trade of the day at 87 a share — a ninefold increase from its target price. Now is where I begin to speculate on what is missing as it relates to what is presently available as of April 9, 2019 on TGLO charts and why this archived page may be accurate if somehow that information is used again or changes at a later date (i.e. some newly released information makes all sources of TGLO information congruent — perhaps on a private company network that has more details to add or conflict with commonly held beliefs about TGLO — which has used the same ticker since the record November 13, 1998 IPO). 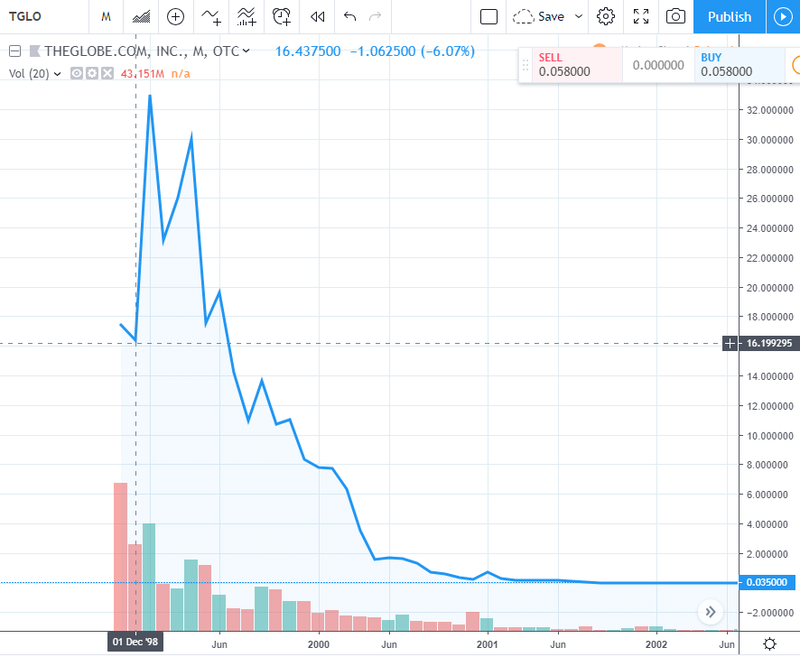 Tradingview.com’s record of TGLO trading begins on “02 Nov ‘98” which 11 days before the archived and Wikipedia recollection of TheGlobe.com (TGLO) IPO on November 13, 1998. The closing price on TradingView.com shows 17.500000 (note that there are six decimal places). At no point in between this date and the picture below does the price close at 63.5 (as the archived article says about the November 13, 1998 closing price). Closing prices are shown to have declined to 16.437500 by “01 Dec ‘98” according to TradingView.com. These charts may be right or they may be wrong as the reference article about the IPO being November 13, 1998 is archived and in a snapshot rather than an active webpage. 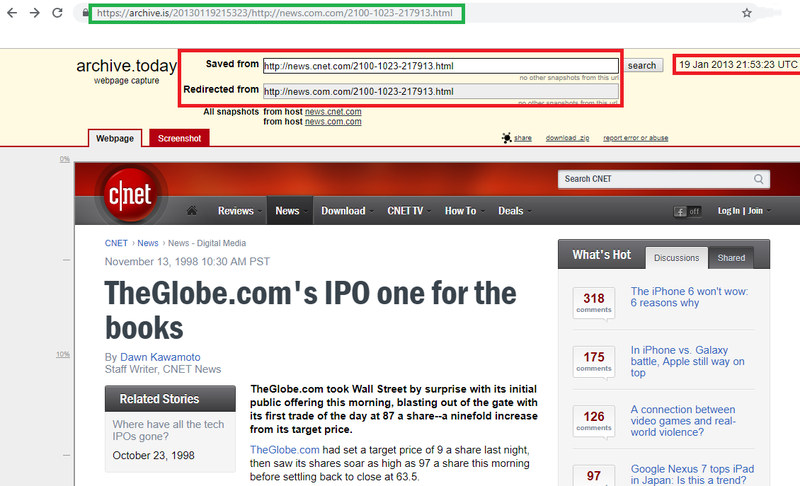 Information from “Nov 1, 1998” is the first recorded close of TGLO “theglobe.com, inc.” stock (at 33.03) 1 day before TradingView.com’s information from “02 Nov ‘98” and 12 days before the “November 13, 1998” close at 63.5 from the archived story. It is hard to say who is right at this point, but the details of a decline from a peak price not anywhere near 63.5 are shown by both iPhone’s “Stocks” app as well as TradingView. The details above explain the gist of what to digest. The information from TradingView suggests a close one day later from iPhone’s 33.03 (two-decimal places) at 17.500000 (six-decimal places). It’s interesting that the archived story’s first closing price on November 13, 1998 is for 63.5 (one-decimal place). I mention decimal places because of how cryptocurrencies are measured in many different decimal places. It is my belief that DVC is properly measured with six-decimal places in relation to Bitcoin’s eight-decimal places (i.e. 0.0000001 BTC = 1 satoshi) — and that’s just one way Devcoin’s are properly measured as I have seen “DevCoin” measures of one-decimal and three-decimal places. The speculation of bold being possibly true and the non-bold data being possibly true or false at a later day is just an example of my speculation. Specifically, my speculation if the text and raw-code from the webpage in relation to HTML, JS, and CSS (the three languages of the web) are made available to somehow append the charts I show with conflicting closing prices as well as with earlier trading activity for TGLO. Another well fact-based hypothesis I’ve had for awhile is that Wikipedia is where this all comes together to make accurate information of market and web data at a future date. Wiki’s, specifically Wikipedia, always runs out of financial resources even though its production continues and information seems more and more accurate. I have been able to use Wikipedia as a sort of treasure map to see which cycles have yet to be completed and make projections on what I believe will happen in the future based on the references that are currently online, missing (404’s) on the web, or archived (as snapshots). My theory is that once the relevant citations are all presently available or inserted back into history as a pillar language of the web (HTML, JS, or CSS and not a snapshot) — everything will be revealed about how this all came to be. In this case, I think the subtle nod is that Wikipedia’s entry is for theGlobe.com (lowercase “t”) and the archived IPO information is for TheGlobe.com (capital “T”). Remember, Wikipedia’s entry may not be entirely complete and can be edited at anytime but what is referenced was published and therefore either a part of history, albeit archived from web relay or preserved for future web interaction and relay of correct information currently missing on active servers for charts like TradingView and iPhone’s Stocks app. Going further, the link is not to OTCQB for the TGLO ticker in the hyperlink or the description at “OTC:TGLO” as show on the Wikipedia entry. OTC Markets Group has three divisions which I will go over later, but OTC maybe a merged name that represents all three OTC Markets Groups as well as past OTC trading platforms dating back to the National Quotation Bureau which established the modern OTC Markets Group (in 1913) + any international companies that may join up with TGLO — named “TheGlobe.com” originally — and combined with international firms represented through American Depository Receipts in current OTC Markets platforms as well as possibly other international stock exchanges that are meant to combine into this shell stock known as TGLO. 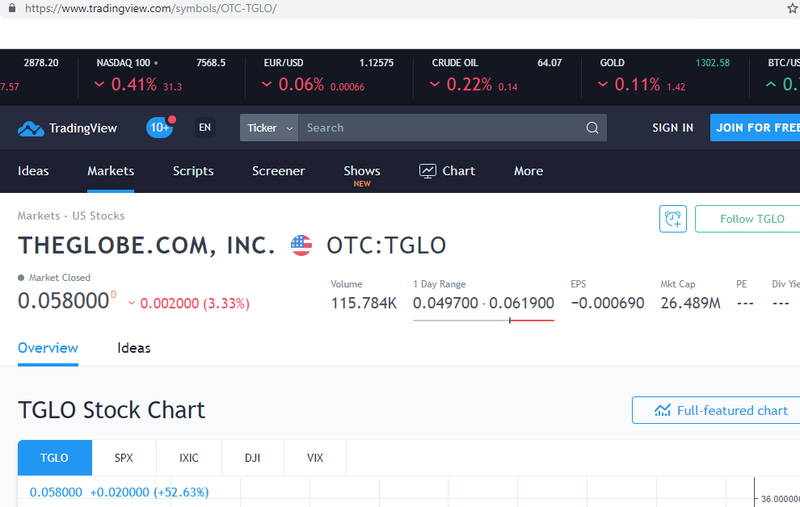 TGLO began as a Nasdaq stock (we think) and later regressed to the OTCBB which became offered on OTC Markets Group in the present day, or just “OTC” according to TradingView. Loops and speculation is all we have today. Sorry! Currently the OTC Markets Group is where my E*TRADE app allows me to buy TGLO. However, perhaps this truly becomes a global offering — where companies that are truly international are offered because their roots are privately or unknowingly in TGLO. TGLO would then be a sort of digital asset I would liken to the value of BITCOIN — an unfinished product in its own right. The first closing date is on “Nov 13, 1998" but at exactly half of the archived article’s reported “63.5” closing price on “November 13, 1998” (and that’s if we are to believe it was 63.5 USD — as of now we just assume because that’s what we know about past prices in US markets, but not going forward). Google’s account is that it closed at 31.75 USD (63.5/2 = 31.75). Technically, Nov isn’t equal to November if the text is read as code. Conventionally we know Nov is abbreviated for November. It’s also important to know Google has updated the companie’s Headquarters from New York City (where HQ was when the IPO took place on November 13, 1998) to Fort Lauderdale, FL (where the company was based in 2004 after its founders had left and it was in the control of its initial VC investor Michael Egan). Google also includes the parent organization that took control over TheGlobe.com as of December 31, 2017 “Delfin Midstream LLC” however that company is privately owned and based in Dallas, TX. The spelling of “Theglobe.com” shows Google is also missing information and maybe in possession of information not yet held by Wikipedia which has an entry titled “theGlobe.com” (inversing the capital letters in the company name between the two words). 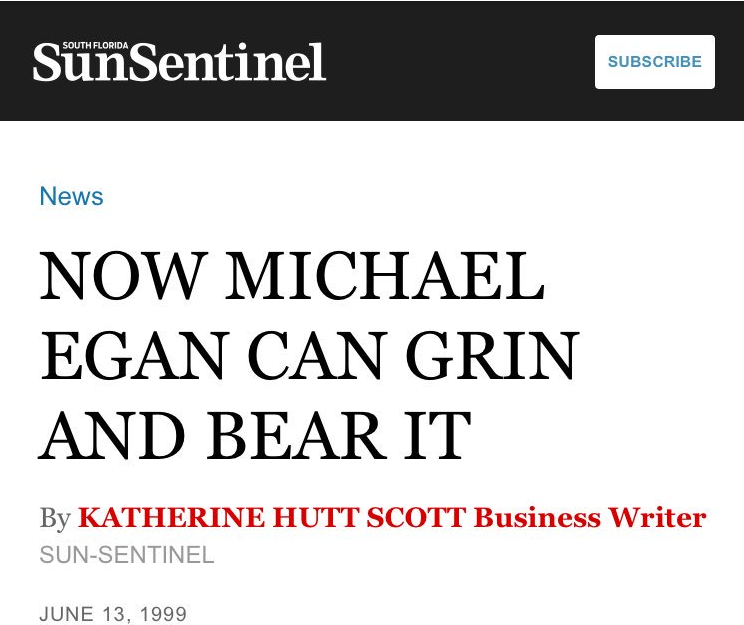 Later on, I was able to find that TGLO and Michael S. Egan’s Dancing Bear Investments are based in Fort Lauderdale, FL as of 1999. I talk about it in later sections. This quote link is just for TGLO, indicating perhaps once the , and . are dropped from the capitalized version the stock will just be TGLO and possibly represented on every market (around the globe itself?) and not just OTC-TGLO (otc markets) or even American markets. Again, that’s what my educated guess is. The Yahoo! 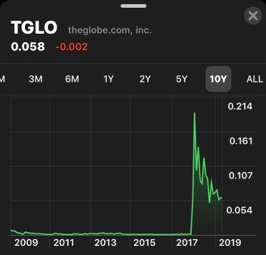 Finance page quoting just “TGLO” uses the same format as iPhone Stocks app “theglobe.com, inc.” and the same date (albeit written Nov 1, 98) and with a 17.50 closing price. 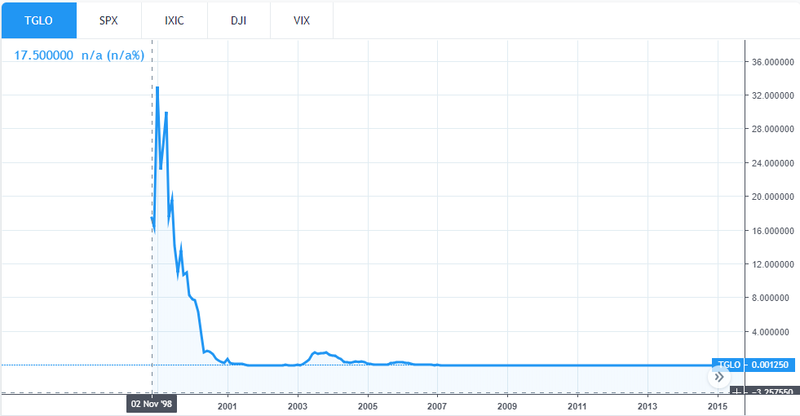 The closing price is not equal to iPhone Stocks app’s 33.03 on “Nov 1, 1998” but it could be said to equal the “02 Nov ‘98" closing price on TradingView.com of 17.500000 (albeit Yahoo! Finance uses four less decimal places than TradingView as well as reports the closing price of 17.50 from what we think to be a day earlier). If global, we know very well that this date may have been registered for Nov 1 in the USA and 02 Nov somewhere else in the world. This further leads me to speculate TGLO ends up as an international stock. Yahoo! Finance also notes in gray that it is part of a market called Other OTC — Other OTC (which essentially may cancel out eventually like 1–1 = 0). What stands out at the bottom of Yahoo! 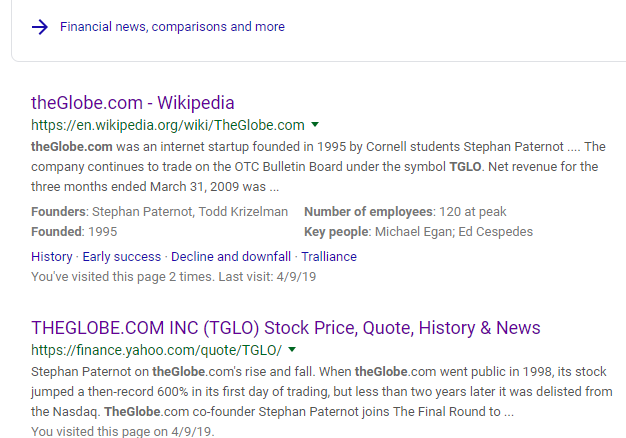 Finance’s TGLO listing is the external link to an article about “theGlobe.com’s” rise and fall from 4 months ago in November 2018, where it is spelled as currently shown by Wikipedia. That my friends, is a loop back to the present from the future possibilities as well as back to the past through Wikipedia and why I believe Wikipedia is the final source of congruence and truth in prices and history once it is edited for the final time at a future date on these topics. That could be a way of sealing all of the relevant value in information and chain-linking to preserve the value of the “blockchain” forever. After that is revealed, possibly as I have speculated on Wikipedia, it could never be changed and corrupt the proven value of markets and the web/pre-cursors ever again. Right now things are abstract because, well, this is obviously a valuable and time-consuming endeavor. Wikipedia itself is time-consuming with a yet to be determined value. Think about it. In relation to TGLO’s true price, the jury is still out. However, you can see here that conflicting information exists about public trading, dates when said trading began, and even exact price details in relation to closing. The dates and prices are the least interesting conflictions I have found as I will elaborate in further sections. The above information is necessary to understand how to think about something from the past, a shell stock in the present day, and why it could become something far greater and by rules, without an IPO going forward because it has remained publicly traded on OTC Markets. It disappeared recently showing a 404 Not Found error on seemingly all browsers besides Chrome, where a simple “test page” is left in place of what once was displayed for over a decade on “www.theglobe.com” whereas it is now just “theglobe.com” in my address bar on Chrome (not adding www. as previously before and still missing http:// or https://) — giving me a great idea of what THEGLOBE.COM and TGLO could ultimately be. First we must explore the past. History of TGLO Pre-IPO: Macintosh, IBM, Apple, and Microsoft? Wikipedia footnote/reference  — external link. They got started way back in 1994, in the “pre-Netscape days,” before the Internet took off as a commercial enterprise. It was then that Cornell students Todd Krizelman and Stephan Paternot, armed with only a modem and a Macintosh computer in Krizelman’s dorm room, first experimented with what would grow, a year later, into the largest Macintosh World Wide Web site in the world. After having raised an initial $15,000 over their winter break in 1994 from private investors to buy some basic computer hardware, they purchased an Apple Internet Server system and set about programming software that would be both useful and entertaining for users of their Web site. From the seminal idea in the fall of 1994, about five months elapsed before The Globe debuted on April 1, 1995. A great “oops” moment for me! In the early ’80s, Bill Gates and Steve Jobs were something likefrenemies. Jobs flew up to Microsoft’s Washington headquarters for what Gates later called a “weird seduction visit,” in a successful attempt to have the company make Macintosh software. The Macintosh would eventually come out in 1984, with its arrival announced by its still-infamous “1984” Super Bowl ad. Microsoft followed through on its commitment to the fledgling Mac: The first-ever versions of Excel, PowerPoint, and Mail followed thereafter. Indeed, Microsoft Office 1.0 started on the Mac. Gates once quipped that Microsoft had more people working on the Macintosh than Apple did. Behind the scenes, though, things started falling apart in 1985, when Microsoft announced that it was getting into the graphical operating system game with Windows 1.0. A furious Jobs accused Gates and Microsoft of ripping off the Macintosh. But Gates didn’t care — he didn’t think Apple had the exclusive rights to the idea. MS-DOS was the main operating system for IBM PC compatible personal computers during the 1980s and the early 1990s, when it was gradually superseded by operating systems offering a graphical user interface (GUI), in various generations of the graphical Microsoft Windows operating system. So MS-DOS gives a pre-AIM Alliance link to Apple as well as a software link to IBM PC’s in the 1980’s before Microsoft Windows operating systems (with GUI) took over as the main form of OS offered. That means with Windows 1.0 coming after the Macintosh was launched with the first versions of Excel, PowerPoint, and Mail — the logical meeting point with an IBM server and Apple Internet Server for The Globe and theGlobe.com would have been in the past with the 1984 development collaboration between Apple and Microsoft on the Macintosh. That MS-DOS could have been potentially used by the time theGlobe.com was being worked on in Cornell University student office space and not in Krizelman’s dorm room. Furthermore MS-DOS could be the reason Microsoft involvements is not yet known on this project but the use of Apple Internet Server and IBM server has been noted by different sources. 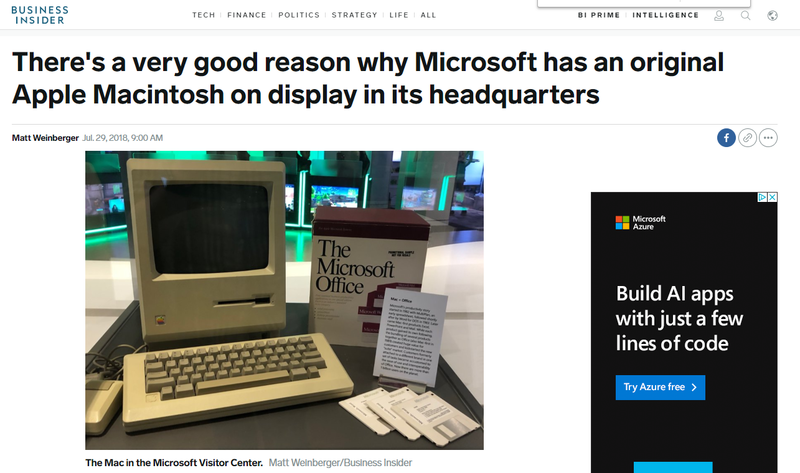 Perhaps the non-GUI based work was done with MS-DOS and using the very Macintosh that Microsoft has in its visitor center only to later on be privately invested as “hardware” to make theGlobe.com work for the www.theGlobe.com page. It is unknown of the servers that were used in New York City after the record setting private investment Michael Egan made on theGlobe.com in the show before the Bear Sterns IPO in November 13, 1998. Macintosh was supposed to be the IBM destroyer/competition PC in 1984. To understand IBM being a secret conspirator in the Macintosh’s past is equal to assume Microsoft’s collaboration on theGlobe.com’s development at a later date (revealed as a part of past-development?). 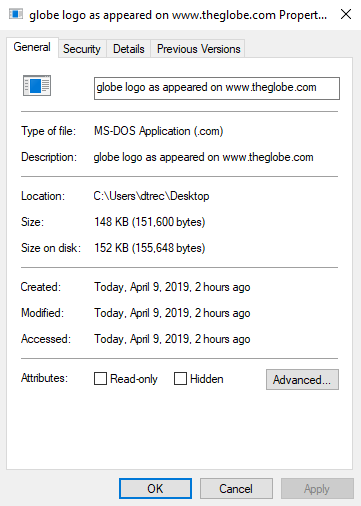 In the present, only theglobe.com displays as I previously noted (this after GPS integer overflow issues of April 6, 2019 made 404 errors on other browsers for theglobe.com and www.theglobe.com with only Chrome being able to pull up a page with the text “test page” for 2 rows of code total on “theglobe.com” (shedding www.). So in a sense, theglobe.com is a way of saying theglobe.com preceded the World Wide Web (HTTP as it is conventionally known by Tim Berners-Lee in 1989 initially on his NeXT Computer). The root of theGlobe.com as I have noted may be held privately in that 1984 Macintosh at Microsoft Visitor Center. Perhaps Steve Jobs brought it with on his visit after secretly working on its hardware with IBM. It’s plausible. An original Apple Macintosh is in a Microsoft Visitor Center museum alongside The Microsoft Office (notice “The” is part of this package). Same day as the article from Business Insider “start.txt” is externally edited on devtome.com/doku.php (Devcoin’s doku wiki). Duality by Satoshi Nakamoto appeared this day. It is preserved on LinkedIn’s SlideShare. Efforts on the part of Motorola and IBM to popularize PReP and CHRP failed when Apple, IBM, and Taligent all failed to provide a single comprehensive reference operating system for server and personal markets — mainly Taligent’s OS or IBM’s Workplace OS. That Web site, called “The Globe” www.theglobe.com, is entirely designed and administered by Krizelman, Paternot and the now 17-member staff of their company, WebGenesis www.webgenesis.com, at its offices at 409 College Ave.
His email on the w3.org mailing list is for erights@google.com (where he uses the MarkM signature to end his posts with two dashes preceding and is only slightly different to his -MarkM- signature at the bottom of each bitcointalk.org post. Important to note the Mark S. Miller from Google and Mark S. Miller from the Capability Based Financial Instruments PDF linked on nakamotoinstitute.org mention a “markm” who hosts a website for E (a programming lanuage) at erights.org (no www. prefix in Chrome and currently available to view). That Mark S. Miller co-wrote the Nakamoto Institute’s hosted PDF with two guys from Cupertino, CA (which could mean Cupertino in California where Apple is as well as Cupterino, the CA abbreviated for Canada — even though we don’t usually think like that.) That is enough for me to tie MarkM’s and Mark S. Miller’s of bitcoin and devcoin (he is the DVC co-founder with Unthinkingbit at bitcointalk.org) to Google, Yahoo, and make it an interesting point of entry/exit for an ideal knot. That would require another inverse of exit/entry at Google and I believe that is something that also ties erights.org and theglobe.com to HTTP in a sense. Apache will only grow what TGLO started for cryptocurrencies and American shell/penny stocks. Ben Laurie of Google and Apache HTTP server could be the link from theglobe.com to HTTP and Tim Berners-Lee much like they both seem to be involved in cryptocurrencies and tokens (Laurie’s Lucre) to tie markets to TGLO and theglobe.com to tie TGLO to the actual global market. 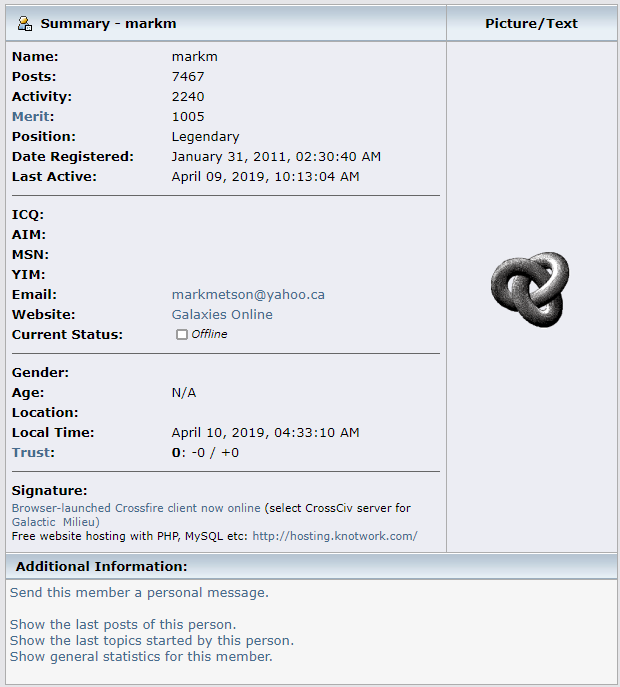 Laurie, according to Wikipedia, appears to be interested in ideal knots like the markm of bitcointalk.org. 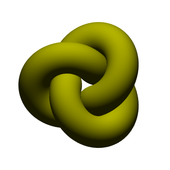 Wikipedia’s ideal trefoil knot (pictured above) is green and markm’s is gray. Obviously Macintosh’s GUI was originally gray (without colors) and what we know about Microsoft’s GUI’s is they had color. There are just too many links I have come across in my year-plus journey to writing this article. It’s no wonder -MarkM- talks in a loop, he works at Google AI (and maybe part of his responses are even that of his creation?). AI won’t be the end of Bitcoin — it will be the beginning. The Cornell Chronicle article from April 12, 1996 can help explain differences in Valley of the Boom (January 2019). “There was no way that we wanted our service to compete with Prodigy Inc. or America Online Inc. We wanted to combine cool graphics, advertising, an emphasis on interactivity and build some sort of entertainment destination resort on the World Wide Web,” said Paternot, WebGenesis president. Without spending a penny on advertising for their site, Krizelman and Paternot relied on word of mouth to spread the news. After just one month of telling their friends and sending out e-mail messages, the two attracted an impressive 44,000 visitors to WebGenesis’ pages. So there was no advertising money spent back in the early 1994–1995 days under WebGenesis’ www.theglobe.com web site. It was organic and the use of e-mail was used to invite people to theglobe.com pages. The modern Facebook.com in 2019 has Facebook “Pages” much like theglobe.com archive shows that early on, the company was allowing people to build a page on theglobe.com. It also had groups, which are also places where people could register to different social communities. Facebook groups are existent on today’s most popular Social Media network. It seems like all of the initial attention spread at a college, 9 years before Facebook repeated that process at Harvard and Stanford University. Facebook originally began as “thefacebook” and to this day forwards to the main site from thefacebook.com. Once again “the” is an important word in web and financial history for Social Media platforms. WebGenesis — started by two folks as theGlobe.com eventually went public as a product by the ticker of TGLO and had 3 CEOs. ConnectU — was an idea by twin brothers very much involved in cryptocurrencies and claimed that “thefacebook.com” was their idea. Eventually thefacebook was a collaboration of 3 people, then two after it restructured after an angel investment by Peter Thiel, then went public with one CEO in 2012 as FB. It’s an interesting enough pattern to think about. Maybe the link in ConnectU is between Cornell and Harvard/Stanford as much as it is between Social Media companies since TGLO went public and all the way back through the very first successes of the dot-com era bubble. That is not just speculation, its a working theory of mine with facts I have discussed at length over the past six months or so. The most popular feature of their site, which now claims nearly 150,000 users per month, is an on-line chat forum in which users can engage in a real-time conversation from their respective keyboards, regardless of where in the world they may be. WebGenesis’ new software has improved this on-line conferencing medium by adding certain ways to personalize the on-screen environment. Users choose a name and an icon to represent themselves in their “chat room,” and they can also post graphs or charts during the course of their dialogue. This graphic addition, in the words of one enthusiastic user, “brings your eye swiftly to the comments you sought amidst a constantly changing page.” The result is an eye-catching arrangement of vividly colored, high-quality graphic images. The Business Insider article covered previously in this Medium entry should be ringing a little bell in your brain right now. The Macintosh computers theglobe.com used to build its internet community were indeed built in 1984 with Microsoft’s first version of Excel (see graphs and chart capabilities), a simple GUI built with help from Microsoft before Microsoft Windows 1.0, and an “eye-catching arrangement of vividly colored (an improvement on the original Macintosh grayscale GUI because of WebGenesis’ new software). WebGenesis may be a pseudo-bridge from Windows 1.0 to the original Apple/Microsoft work on Macintosh. Bill Gates did say that the “Mac … really captures people’s imagination” as I covered in the Business Insider quotes used in the previous section. WebGenesis’ eye-catching arrangement was the result of adding colors to the graphic images it improved upon in 1994–1995. The features would have been built on the Macintosh which Microsoft Visitor Center (MVC) has alongside its software “The Microsoft Office” as of July 29, 2018. I will note here that MVC could be an acronym that also jives with Mountain View California where Google is located or even MVC to a DVC. Really, the intertwining of related information seems infinite to my poor brain. I am just trying to relate what I conceptualize as well as how my hypotheses are also open ended at many points to be improved upon later. Or realized come some day soon? I sure hope. Other software offered exclusively by WebGenesis includes a “Genesis Registration” system, for the purpose of registering users in any given institutional computer system. “This is the first user registration and authentication program available for the Macintosh,” boasted Krizelman. “It has unlimited user names and password storage capability,” he added. 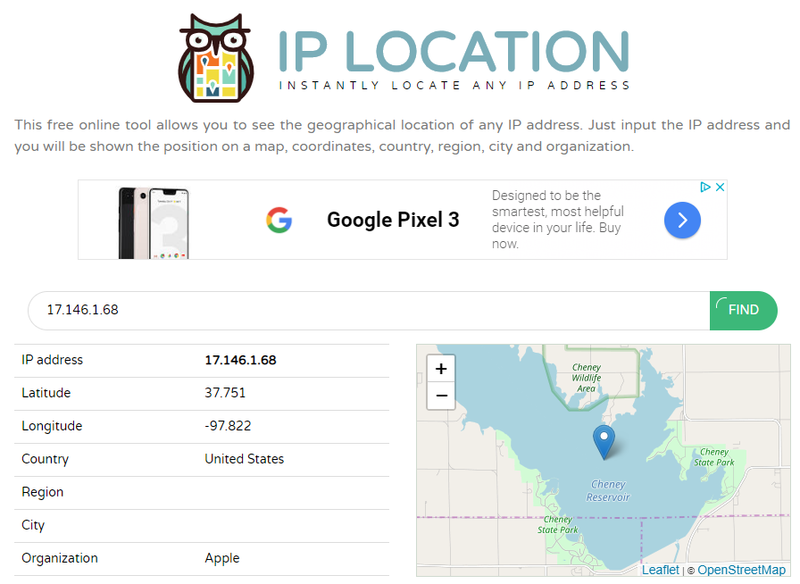 Besides the obvious parallels to modern social media, this goes back to the Macintosh which has seemingly the most elusive whereabouts geographically in the world. It also seems like the Mac, iMac, Macintosh all represent different stages in its life cycle. So could this be like the source registration to Tim Berners-Lee’s missing source code from developing the WorldWideWeb? A source code mostly hosted on the modern web as Open Source which only a small portion remains in a museum at CERN on his original office computer (NeXT btw, because Steve Jobs and Steve Wozniak are genius Steve’s between the Apple I and the NeXT computer). Could very well go through the Macintosh and theglobe.com to Berners-Lee’s NeXT computer and HTTP all the way to the original Cornell University/Apple Internet Server/IBM Server for WebGenesis. Now that would be some amazing links to follow both for correct streaming of data as well as for how much it could reveal about financial markets. Also available on their home page is “Genesis Surveys,” a program that can support up to 10 different surveys, quizzes or questionnaires at the same time and compute statistical analysis immediately. SurveyMonkey, Google Forms, Microsoft Access, etc. This all began with theGlobe.com built from scratch by WebGenesis which used software that users could interact with the compute information immediately and show it online. That could be seen as the birth of web marketing that gained valuable consumer information. 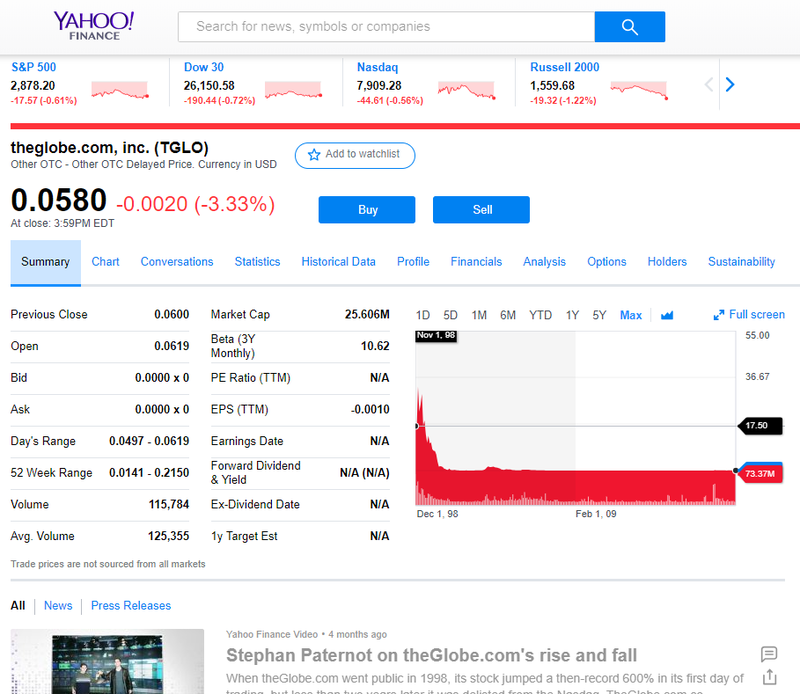 Obviously theglobe.com and TGLO deserve some revenue reflected in its price per share from that to say the least. Even Microsoft Access databases came after this (or even from this endeavor at WebGenesis in secret). This program is useful for institutions that are looking to gather data on-line from any body of computer users. Other services on The Globe include personals, classifieds and computer games — all free of charge to visitors. So information gathering on theglobe.com allowed free services on the site in exchange for what else — user data. Terms of Serivce agreements allow this data to be gathered. The Apple corporation has taken an interest in the success of the students’ enterprise, as being proof of the reliability of Apple Internet Servers to maintain a high volume of users without “traffic problems” or “downtime” — the business hours lost when a server crashes. Apple has sponsored Paternot and Krizelman’s attendance at Internet conferences in California, and WebGenesis also is featured in Apple’s advertising as the largest Mac site in the world. ..and would grow into largest Macintosh World Wide Web site eventually. One Macintosh began it all. One Macintosh missing may end the loop as well (One Macintosh at the MVC? Which MVC?). Later on it seems that the early use of one Macintosh in Krizelman’s dorm was noticed by Apple after the WebGenesis company was founded when an Apple Internet Server was purchased (keeping up the Macintosh in Krizelman’s dorm? ), and after the two founders moved offices to office space on the Cornell University campus. Conferences in California were sponsored by Apple corporation for the co-founders of WebGenesis and advertised WebGenesis (the company that owned theglobe.com early pages and software built from scratch) as the largest Mac site in the world. Perhaps the Macs were running at the Cornell offices on IBM Servers whereas the Macintosh in Krizelman’s dorm ran on an Apple Internet Server in the 1994–1996 period covered by the April 12, 1996 article. This was all before the duo graduated from Cornell and moved the company to New York City before a $20 million investment by Dancing Bear Investments, Michael S. Egan, and upgrades to the servers in New York City before the IPO offered with help from Bear Stearns. After the world financial crisis in 2008, Bear Stearns was gobbled up by J.P. Morgan Chase in a sale after a bailout from the Fed closing in March 2008. You may read about that here. Cue the JPM Coin? E-Coin? Everything Coin? Perhaps. “We’ve proven that you can buy a few Macs and have a site,” said CEO Krizelman. Most Web sites have traditionally been run off of less user-friendly hardware, like Sparks stations, he said. The SPARCstation, SPARCserver and SPARCcenter product lines were a series of SPARC-based computer workstations and servers in desktop, desk side (pedestal) and rack-based form factor configurations, developed and sold by Sun Microsystems. So theGlobe.com may have improved on this technology by collaboration between Apple and Sun microsystems and whoever else was responsible for the Macs used to run the network that proved that you could have a site (possibly preceeding the Web site or improving on it). This site had provided access to software that worked with various built from scratch features that power the internet of value in many ways that extend from this WebGenesis version of theglobe.com and today’s web of proven value almost 25 years later. As a member of DoubleClick, the computer advertising agency based in New York City, WebGenesis’ Internet pages have featured ads from such companies as Attachmate, Excite, Apple Computer, Sportsline, Intel and DejaNews. They have been able to rely on corporate advertising for their entire revenue and can, therefore, offer their services free of charge for their many users. The advertising agency used early on for revenue before TGLO went public was from an agency located in New York City where the company moved in Valley of the Boom and was located when publicly offered as TGLO, TheGlobe.com. What happened to WebGenesis must’ve gone away with Krizelman’s Macintosh and the Cornell University dorm days. That also seems to be where Apple association ended with the company. Apple and Macintosh being the link of Mac to Krizelman’s Macintosh and his Apple Internet Server must also prevent TGLO from all of the innovative software created by WebGenesis and also caused it to leak to anything Apple and IBM have touched over the years since the original Macintosh in 1984. Forward and backward leaks and forward revenue means that a lot of money has yet to be realized through TGLO and anything Krizelman’s specific Macintosh holds that was licensed out to other companies before the Macintosh was shut down. Perhaps its the one that resides at Microsoft Visitor Center as of July 29, 2018. Perhaps it was turned on and that’s why the story came out of its location across the Web to Business Insider (a company that Jeff Bezos has invested in)? In order to maintain the busy schedule of being both Cornell students and entrepreneurs, the two have had to work 18-hour days while being enrolled in sometimes as few as two courses per semester. “We pretty much decided to throw away our personal and social lives,” joked Krizelman. Sounds like the early days of Facebook in Palo Alto. Again, this is not a feature so I am moving on. Flying back and forth to conferences in California, and sometimes getting off a plane to take a biology prelim only to reboard an hour later, Krizelman and Paternot, now seniors, have “crammed five to 10 years of business experience into one year,” as Paternot puts it. They will both graduate on time in May, they say, but not without some sacrifice — “our hairlines and ulcers,” said Krizelman dryly. AirPort debuted on July 21, 1999, at Macworld New York, with Steve Jobs picking up an iBook supposedly to give the cameraman a better shot as he surfed the Web. The initial offering consisted of an optional expansion card for Apple’s new line of iBook notebooks and an AirPort Base Station. The AirPort card (a repackaged Lucent ORiNOCO Gold Card PC Card adapter) was later added as an option for almost all of Apple’s product line, including PowerBooks, eMacs, iMacs, and Power Macs. Only Xserves do not have it as a standard or optional feature. The original AirPort system allowed transfer rates up to 11 Mbit/s and was commonly used to share Internet access and files between multiple computers. ORiNOCO was the brand name for a family of wireless networking technology by Proxim Wireless (previously Lucent). These integrated circuits(codenamed Hermes) provide wireless connectivity for 802.11-compliant Wireless LANs. Gold: WaveLAN IEEE Turbo 11 Mbit/s PC Cards with 802.11b and 128-bit WEP support. (128-bit WEP is encryption you can read about here). WaveLAN was originally designed by COMTEN, a subsidiary of NCR Corporation, (later the Network Products Division of NCR) in 1986–7, and introduced to the market in 1988 as a wireless alternative to Ethernet and Token-Ring. The next year NCR contributed the WaveLAN design to the IEEE 802 LAN/MAN Standards Committee. This led to the founding of the 802.11 Wireless LAN Working Committee which produced the original IEEE 802.11 standard, which eventually became known popularly as Wi-Fi. The founding of the Working Committee that produced what would later be known as Wi-Fi (September 1998) was formed in 1989. This is interesting because it means the same year HTTP was proposed by Tim Berners-Lee, Wi-Fi was already a concept with a Working Committee. When NCR was acquired by AT&T in 1991, becoming the AT&T GIS (Global Information Solutions) business unit, the product name was retained, as happened two years later when the product was transferred to the AT&T GBCS (Global Business Communications Systems) business unit, and again when AT&T spun off their GBCS business unit as Lucent in 1995. As of 1991 WaveLAN was acquired by acquiring the company that created it. The same could be said to have happened to WebGenesis when Michael S. Egan acquired a 51% stake after his $20 M investment (according to Valley of the Boom, it was a 51% stake before the IPO). The name WaveLAN was retained much like the name for the WebGenesis product was theglobe.com and would remain just that when going public with Egan on-board. In 1993, the product was transferred to another part of AT&T (GBCS) remaining WaveLAN, but then became a part of “Lucent” in 1995 when AT&T spun off their GBCS business unit. It was still named WaveLAN in 1995. That could have been the year an original Lucent ORiNOCO Gold Card used the same WaveLAN WiFi-technology to connect to an Airport connection using WaveLAN and the then Lucent Card which later worked with Apple’s iBook and AiPort Router systems as of 1999. Very interesting overlaps. The card could’ve wirelessly connected the Apple Corporation sponsored WebGenesis founders to reach their Mac network to submit the tests to a connection with Apple Internet Server, the original Krizelman Macintosh computer, the WebGenesis software later included in TGLO’s web site product (the first Social Media website). Apparently the registration function was the first for Macintosh so perhaps Krizelman’s computer includes where private investors registered their participation and directly invested along with form submission using theGlobe.com’s original WebGenesis software to make record of their transactions. The financial transactions would only turn on with the computer if it was accessed remotely by the correct user (possibly). Anyhow, WaveLAN (later Wi-Fi) was around in the late 80’s and reaches back to just after the Macintosh and Windows 1.0 and stretches through the initial and possibly lost beginning of theGlobe.com at WebGenesis/Apple Internet Server/Cornell University networks connected out to the Internet/World Wide Web via Mac and Macintosh! When the 802.11 protocol was ratified, Lucent began producing chipsets to support this new standard under the name of WaveLAN IEEE, which it later renamed to ORiNOCO. Shortly thereafter, Lucent spun off the division that produced these chipsets as Agere Systems, which was later acquired by Proxim. Proxim later renamed its entire 802.11 wireless networking lineup to ORiNOCO, including products based on Atheros chipsets. Lucent (AT&T spin-off) renamed the WaveLAN IEEE chipsets to ORiNOCO, then spun off the division that produced the chipsets specifically as Agere Systems. Nowadays, tiny Wi-Fi chipsets are found in many devices, such as the smart phone. Hermes (/ˈhɜːrmiːz/; Greek: Ἑρμῆς) is the god of trade, heraldry, merchants, commerce, roads, thieves, trickery, sports, travelers, and athletes in Ancient Greek religion and mythology; the son of Zeus and the Pleiad Maia, he was the second youngest of the Olympian gods (Dionysus being the youngest). Hermes was the emissary and messenger of the gods. Hermes was also “the divine trickster” and “the god of boundaries and the transgression of boundaries, … the patron of herdsmen, thieves, graves, and heralds.” He is described as moving freely between the worlds of the mortal and divine, and was the conductor of souls into the afterlife. He was also viewed as the protector and patron of roads and travelers. Qualcomm Atheros is a developer of semiconductors for network communications, particularly wireless chipsets. Founded under the name T-Span Systems in 1998 by experts in signal processing and VLSI design from Stanford University, the University of California, Berkeley and private industry. From Ancient Greek ἀθήρα (athḗra, “gruel”). Announced on April 9, 2019. Anthos or Antheus (Flower) is a play by the 5th century BCE Athenian dramatist Agathon. The play has been lost. The play is mentioned by Aristotle in his Poetics (1451b) as an example of a tragedy with a plot which gives pleasure despite the incidents and characters being entirely made up. Anthos is the only known Greek tragedy play whose plot was entirely invented by the poet. Other 5th century tragedies were based on myth, or less frequently on actual history. Paternot even has an Amazon book. Not coincidence. On February 18, 1999, Aerovox Inc.(“the Company”) reported (copy of press release attached) that it has reached an agreement in principle to acquire the capacitor business of Compania General de Electronica, S.A. (CGE) of Mexico City, Mexico. So Amazon is fake history with a pleasurable ending in all likelihood. Think about the recent tabloid style drama with its sole CEO Jeff Bezos and the wife he divorced that you never heard about for 20+ years of Bezos being the Amazon CEO. If you believe everything you see on TV and the web because its reported — you won’t lose, but you are missing out on good money via investments like TGLO, knowing what Anthos is, knowing how the history unfolded and deciding from all of the info provided if its true, believable, or undeniably fake. I am not crazy, I just make my own decisions. Money like this is worth protecting with an Anthos type play and a cast of fake incidents and characters so long as in the end, all people living in this world benefit. I am guessing there is some sort of financial incentive that will be provided to the American taxpayer for unknowingly participating just like worldwide other countries have had their citizens contribute without knowing in one way or another. Crypto and pink sheets like TGLO are a reward for using Open Source information and deciding for yourself. Jeff Bezos may be a banker, an actor, or even the poet if its not Jobs. What do I really know about Bezos? Not much, he doesn’t have many public appearances besides paparazzi shots and brief media clips of him appearing on TV without speaking. I know a heck of a lot more about what Jobs said, did, and how he envisioned things. I only know Jeff Bezos is rich and his company is full of holes in the story. It’s fake news. When it falls, it won’t be tragedy, but liberation. I am assuming the national debt held by the US is a fake news creation of the late 90’s — just like Bezos. Welcome to the world of capitalism that brings worldwide incentive to collaborate and be peaceful via the World Wide Web. Whoever wrote Anthos created the play entirely by him/herself and it was lost, but remembered as the only play created by the poet himself and not based on myth. This play however is a real life crossover with actors and fake incidents but real life financial and peaceful payoffs at the pleasurable ending—just like the lost play of Anthos. In the web and wall street, who is our visionary that made Silicon Valley an incentive to the world to work together and protect a valuable future full of solutions created by the supporting cast — the developers and companies that simply exist as a collective with every type of fake incident from fake competition/wars to fake court cases (like Netscape vs. Microsoft portrayed in Valley of the Boom). Thank god for that show to get me looking outside crypto to realize the world has been acting for decades. Anthos. Who is our one poet then? Is it Steve Jobs? Is it the Steve combo of Wozniak and Jobs? Visionary and Engineer? Maybe IBM is a cover for the US Government that created the ARPANET that universities and the DoD used for the earliest networking and transmission of e-mails. But if it was Jobs, that would be legendary. I would go to church everyday if by some miracle the man was still alive. One, for proving I am not crazy. Two, for proving I am not crazy. Three, to say thank you. I feel like Jobs is absolutely everywhere throughout the history of how we got to today. TGLO included. Perhaps Bill Gates is a co-writer. I won’t even address the possibility that Gates is an actor written up by Jobs. That would be insane. But Steve Jobs is often the visionary of all Silicon Valley visionaries. Is he also the poet? Didn’t you ever wonder the Hollywood/iTunes/Amazon Prime connection to the film industry? I have been making connections for the longest time. The Valley of the Boom story portraying two up-start young kids just seemed so improbable after digging relentlessly through facts to see how important TGLO is to the world. I notice now how the history of information that is left out there for us as people to decide what we believe and what we can factually refute even without confirmation from the “mainstream media” — I have a feeling Apple News+ is about to change that. I do believe this was that big of an effort that it has tricked the world (Hermes — god of trickery). Mark Zuckerberg could be an actor, or just a dev that came up with some cool things to add to the abstraction and built off theGlobe.com’s features once it secretly licensed them out to the rest of the tech companies in the world that thrive today in Social Media, subscriptions, e-commerce, everything. It’s truly amazing and obvious. For that reason, to me, I think it really means the grand revelations are coming really soon. I don’t think I could be this far ahead of something I know to be absolutely true as an end result that is good for the world, even if I don’t have all the pieces or my speculation isn’t exactly correct, the places in history and investments I’ve made I have full confidence in. A boom coming for TGLO, BLIAQ (Blockbuster hello, IBM computers, worldwide members registered to the in-store databases since the 1980’s) — then cryptos, the dead cryptos coming back from death — the ancient coins I0C, DVC, IXC, NMC, and a few gems you can find in substance like Biblepay (BBP) a telnet node, copies of the internets history or just cryptos that represent networks with substantial value that is hiding behind a cryptocurrency status and a fake name and ticker. I cannot possibly stress that the possibility exists. The fundamentals on everything at this point make a boom seem 100% in the cards for all of the above. The value is nowhere near its potential. 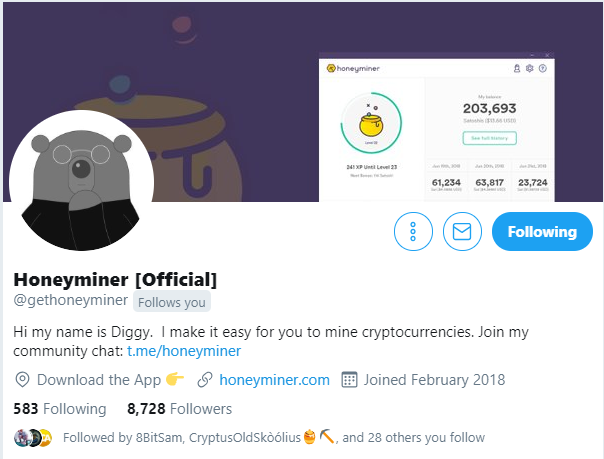 Thank you, devs, for alerting me to such wonderful cryptos with your interest throughout the last decade in making the obvious open source. It changed me. I went down the rabbit hole and I liked the end result I saw on the otherside of this all. The whole abstraction of it all, yet the trail of answers and facts laid out all over these Open Source projects and Wikipedia especially. Aided by the amazing Google search engine. Do you see it yet? It’s happening. It’s Anthos. Nearly all of the company’s 17 computer programmers and graphic designers are recent Cornell graduates, whose average age is 22. “We are able to filter off people from the Computer Science Department before they graduate,” says Krizelman. The University Career Center, for example, has faxed résumés of graduating computer scientists to WebGenesis [sounds a lot like LinkedIn and other online job recruiting and placement services -indeed.com, monster.com, etc]. “We are also able to go to the Cornell Theory Center and the Computer Science Department and ask, ‘Who’s your best student,’” Krizelman added. WebGenesis, say its directors, pays competitively for Ithaca — and for students. They are thus able to attract a constant flow of fresh young minds and retain their low-key “company culture.” [Silicon Valley recruited from the top of the class in the best universities for its Anthos because of TGLO — Zuckerberg included — maybe not a dropout, just sent to the next level where he’s done very well]. Indeed, much of their precocious success can be attributed to the laid-back yet diligent ambiance of their Collegetown offices. Staff meetings at WebGenesis are held daily, as opposed to weekly, and the bosses always treat for pizza when work goes later than expected. [Pizza, Bitcoin Pizza, Pizza to home delivery being huge in the Blockbuster night of the 1980’s and 1990’s into the early millennia. It’s incredible and deep]. “Todd and I just stand back sometimes and think to ourselves, ‘How did we get here?’” said Paternot. [bright kids, but great and very fortunate actors on April Fools Day 1995? Maybe]. I won’t get into that again , but the idea of a “destination resort on the World Wide Web” as described by one Stephan Paternot in the Cornell Chronicle article I just finished explaining makes me wonder if Disney was a private investor in theGlobe.com in 1994 as much as its IPO buyers on Wall St. by the time 1998 came around. This all took place back in a time when DVC’s — Disney Vacation Clubs — were booming with revenue due to the growth of the 1980’s and 1990’s for the American middle class — Americans from the middle class went on vacations. Disney World was a place I once went to in the same year as the Wisconsin Dells in the 1990’s. I was on cloud nine that year as I was born in April 1988. 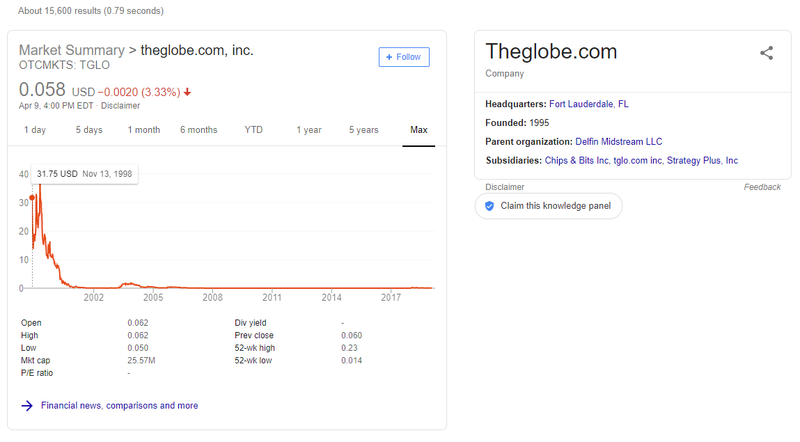 I have to mention I read an article from 1999 that helped me realize why Google recognized Theglobe.com as a company in Fort Lauderdale, FL in the current search query. It’s because in 1999 that’s where Dancing Bear Investments was headquarted. Egan even grew up working in the Wisconsin Dells in the 1970's. The last three things I mentioned have factual proof in this article from 1999 in the “Sun-Sentinel” paper. The hilarious and crypto/globe relevant title of the article is pictured below this paragraph. Is he (Egan) a character in Anthos? You bet he is. He brought travel wealth to theGlobe.com, a creation of the poet, for the entire Globe. Diggy resembles Steve Jobs. Is he representative of the poet? [Note: I am not complaining about being raised American middle class] I had a great childhood before the 2000’s made family situations tougher and more stressful for everyone in the American middle class, and I can only say that because I lived it and saw it around me. I’m sure the rest of the world had bigger issues to solve. I can only speak of what I experienced and witnesses around me. So is crypto the rebound from all the bubbles we’ve been put through, real life incidents — written by a poet for the greater good in time — perhaps? I’m not purely speculating here because Devcoin uses the DVC ticker and one could say that also is a Wikipedia entry for Disney Vacation Club whereas Devcoin’s Wikipedia page was deleted entirely back in late 2018. That may be for the reason that Devcoin is a part of the Bitcoin play named Anthos. How many Anthos can occur in one ideal knot? Many, but with one pleasurable outcome for society — which is very good. In Valley of the Boom’s story, theGlobe.com accepts Michael S. Egan’s investment and by right of the deal Egan was very forward in pushing Paternot and Krizelman to find a way for his traditional travel industry clients to join the World Wide Web through theGlobe.com. Maybe one of the secret mega-investors in TGLO and cryptocurrency is none other than Walt Disney Corporation, also providing the Corporation the Cornell Chronicle appends to Apple in its 1996 story about the founders. Apple now is known as a company named Apple Inc. Walt Disney Corporation is still a Corporation. It’s stocks are up of late and I have noticed a lot of Walt Disney world ads on Fox channels since it acquired 21st Century Fox. This coming in the same year as Apple TV+, the shutdown of Google+, the re-structuring of Facebook’s DNA according to Zuckerberg, and Disney+ streaming service. I think it will all end in the exposure of Anthos. Both Walt Disney and Steve Jobs are pioneers in animation with Jobs responsible for the revolutionary Pixar hardware that Disney was able to collect off as a result of Pixar films. Jobs being the man who brought about the best years in Pixar and shared success for Toy Story with Disney — who received all of the earnings from the popular toys made of characters in the movie. It’s an intertwining of a shared CEO in Jobs (Pixar & Apple, previously NeXT) and Walt Disney Corporation. Walt Disney himself was all about vacation destinations and the technology of the future (see Epcot). He may even go back as far as to have been involved with IBM computers in the 1950’s and their early mainframe calculations of financial longs and even optimal suburban American development (again, see Epcot). Perhaps Steve Jobs took over where Walt Disney left off when he died in the mid-1960’s. Maybe Disney also lived out his days grooming Jobs from kid into visionary part two. I have absolutely no clue what is certainly false and I can only speculate in situations like this. I can’t prove true, but I can support it. I cannot also reject any one possibility. I guess we will see sometime if the facts are completely revealed in their entirety. Perhaps they mostly are by Wikipedia and its evolution into something complete at a later date. The history of the modern web/internet came from the US Government by handing it over to Universities, which may have handed its use out to Silicon Valley corporations for future consumer use on PCs/Macs as well as to international organizations like CERN for transmission of important studies done there where a guy named Tim Berners-Lee figured out how to implement it better by creating HTTP. Human innovation that one can tie to all the other places Berners-Lee has been that I discussed in my March entry here on Think. 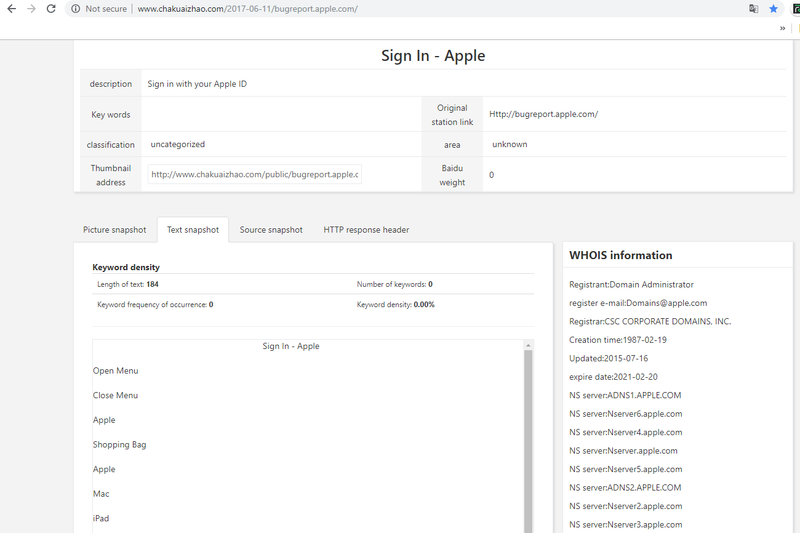 Anthos Origins: The US Department of Defense, IBM, RCA, Western Union & Back Through APPLE.COM ADNS Subdomains from China. Coolest IP Server address ever. Apple registered on 02–19–1987. The Automatic Digital Network System, known as AUTODIN or ADNS, is a legacy data communications service in the United States Department of Defense. AUTODIN originally consisted of numerous AUTODIN Switching Centers (ASCs) located in the United States and in countries such as England and Japan. The design of the system, originally named “ComLogNet”, began in 1958 by a team of Western Union, RCA and IBM. HQ is in New York City — hello to Wall St., theGlobe.com, and The AirPort Card/WiFi. To say the very least. 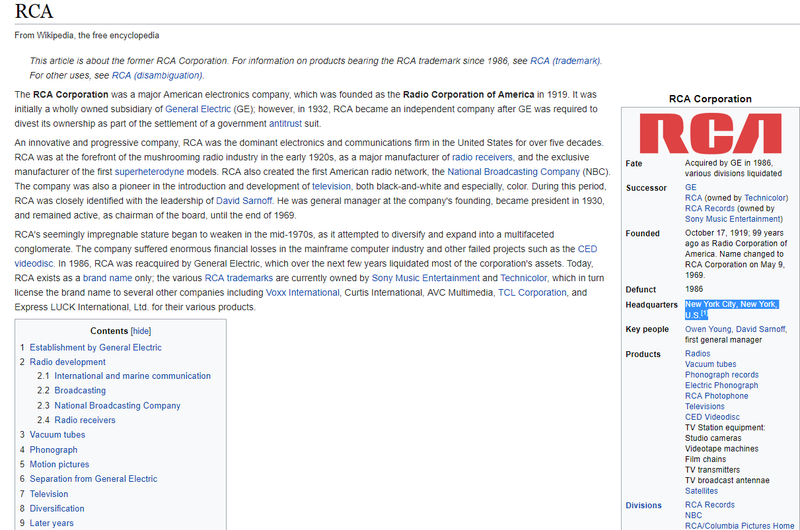 I cannot possibly dissect all the things I can peg from this offering and RCA being a company that provides the products to run services like Apple in the present day as well as other hardware companies like IBM, DISH Network, Blockbuster (BLIAQ under Dish Network’s acquisition), TGLO as a source of web based services, Disney+ buying 21st Century Fox but also being a service provided to people by its cross-pollination with Apple in secrecy. So much Anthos explained. The customer was the U.S. Air Force [later spawned NASA] and the system’s purpose was to improve the speed and reliability of logistics traffic (spare parts for missiles) between five logistics centers and roughly 350 bases and contractor locations. An implementation contract was awarded in the fall of 1959 to Western Union as prime contractor and system integrator, RCA to build the 5 switching center computers and IBM for the compound terminals which provided for both IBM punched card and Teletype data entry [the original Apple I-1 didn’t need a Teletype and was on one board in 1976]. The first site became operational in 1962. During the implementation the government realized the broader value of the system and transferred it to the Defense Communications Agency (DCA) which renamed it “AUTODIN”. In 1962 the government solicited competitive bids for a 9 center expansion which was won by Philco-Ford. From ADNS(1 or 2).APPLE.COM NS and IPv4 (TCP/IP preceded the web and HTTP), we can see how Apple drove the development of the networking needed to connect governments across the world with the original ARPANET using ADNS sub-nets, IPv4 Servers, and moved forward to the NeXT Computer/Tim Berners-Lee version of the World Wide Web and HTTP. 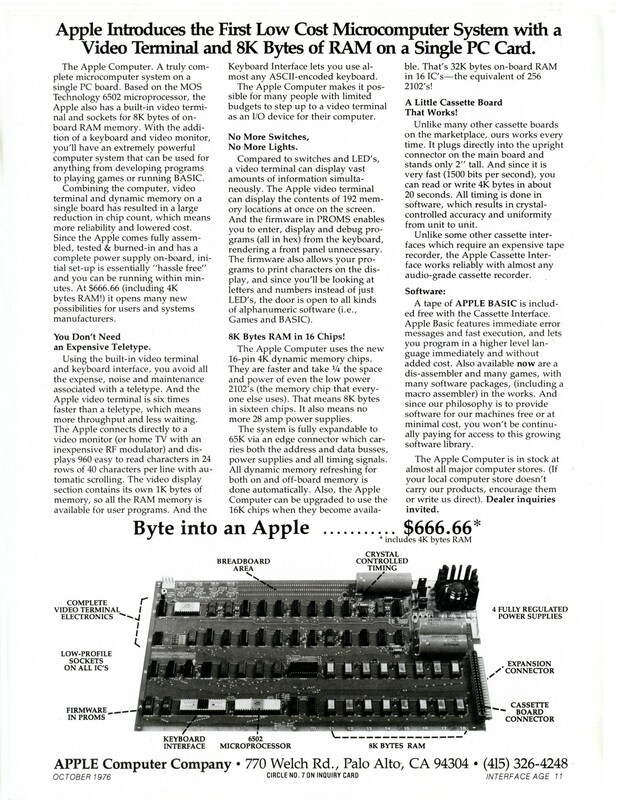 TheGlobe.com is Apple’s shell stock connection to both “WWW” and “HTTP” in a time where the first Apple networks were just bridges possibly from ARPANET to the public beginnings of the consumer used, personal computer and mobile-accessed World Wide Web into the modern day. These holes are simply portals for later use. Here is a portal open from 1987 and an ideal knot to be tied in the near future. Cue the dramatic finale. An American depositary receipt (ADR, and sometimes spelled depository) is a negotiable security that represents securities of a company that trades in the U.S. financial markets. Shares of many non-U.S. companies trade on U.S. stock exchanges through ADRs, which are denominated and pay dividends in U.S. dollars and may be traded like regular shares of stock. ADRs are also traded during U.S. trading hours, through U.S. broker-dealers. ADRs simplify investing in foreign securities by having the depositary bank “manage all custody, currency and local taxes issues”. The first ADR was introduced by J.P. Morgan in 1927 for the British retailer Selfridges on the New York Curb Exchange, the American Stock Exchange’s precursor. They are the U.S. equivalent of a global depository receipt (GDR). Securities of a foreign company that are represented by an ADR are called American depositary shares (ADSs). J.P. Morgan, JPM Coin, “E-Coin” is probably one of the grand finale end games of this version of Anthos. I would say the time is coming near for anything on OTC Markets with value (TGLO, BLIAQ imo) as well as zombie cryptos to rise from the dead coin status — see any ancient coins I shill. The unnoticed coins like BBP remind me of network precursors to the World Wide Web (telnet nodes over TCP, port 23) as well as mining the ancient and unrealized value in that “coin” — BBP. It’s quite the mix of Old Testament networking into the New Testament where Jesus is the one who rises from the dead. Jesus also raised Lazarus from the dead. One market lifting the other out of dead status back into life. Shell stocks, ancient cryptos. These things parallel eachother quite nicely. TheGlobe.com’s last reported revenue stream was due to an agreement it would receive an earn-out from any profits in .travel domain registration/usage when Michael S. Egan’s Tralliance (previously acquired by theGlobe.com in 2005 and then sold in 2008). The earn-out agreement was giving to theGlobe.com by right of Tralliance’s sale. Very interesting that the .travel registry (now owned by Donuts) listed Disney.travel (which redirects now to a 404) as one of its top registrants as well as Yahoo.travel. Where will you start .today? Donuts/coffee cup handle analogies are used to explain homomorphism (which also includes trefoil knots) and commonly used in Twitter conversation among Bitcoin developers and even emojis used often by the FreiExchange along with the coffee cup. There is a form of encryption called Fully Homomorphic Encryption (FHE). These people are masters of encryption and often they are cryptic in the way they hint about the connections. I will leave those examples up to you to discover on twitter. Rest-assured, they are there on Mark Friedenbach’s twitter, Adam Back and Blockstream’s developers twitters, and @fed_fab which is the handle of the FreiExchange.com exchange. 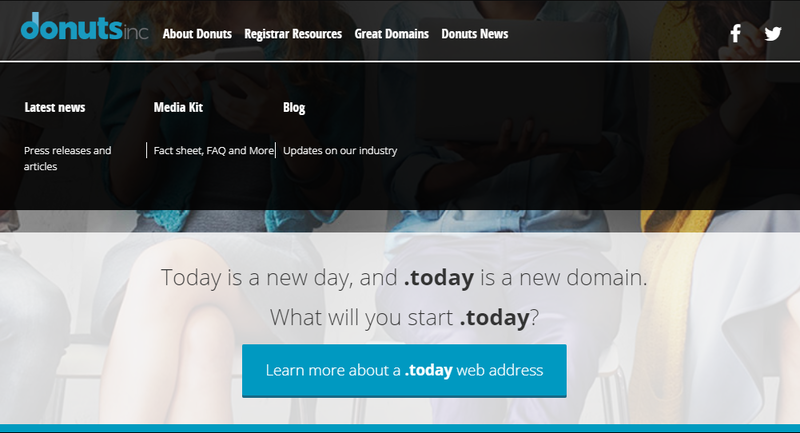 Donuts inc appears to also own the registry rights to the .today top level domain in addition to the .travel domain. Does that mean it also owns the archive.today domain? Devtome start.txt: Where do you want to go TODAY? On May 9, 2005, the company acquired Tralliance Corporation, a company which maintains the .travel top-level domain. By mid-2007, the domain theglobe.com redirected to the home page of Tralliance. The company then sold Tralliance on September 29, 2008. theglobe received earn-out rights from Tralliance Registry Management, which will constitute the only source of future revenue for theglobe. With the sale of Tralliance, theglobe.com became a shell company with no operations or assets other than its rights in the Tralliance earn-out. The company operates out of borrowed offices, and as of March 1, 2012, it reported having no employees other than its executive officers, each of whom devoted “very limited time” to TheGlobe’s business, and received no compensation for doing so. I think it’s important to realize that WebGenesis was the company Paternot and Krizelman started before Tralliance and Egan were ever in the picture and that only Egan was a part of theGlobe.com when it acquired Tralliance in 2005. That’s the inverse of a secret/private investment by the companies I discussed in the last section. Again, entry/exits and their invesions throughout the front/back and back/front of time. On the World Wide Web + it’s pre-cursors that made the Internet — that is certainly possible. Thanks to archives and private networks, it can all work. When Egan stepped down from the TGLO shell company board and sold 70.9% of shares, he had sold to Delfin Midstream LLC with the transaction closing on December 31, 2017. Wikipedia doesn’t note this, but I thought it did at one point in the recent past when I first encountered this information. The article was right about TGLO getting its lifeline after the deal closed in December 2017 as the long dormant stock shot from 0.001 USD to around 0.22 USD around the same time period Bitcoin peaked at $19,500 USD per BTC. TGLO action was a zombie stock of 10 years finally moving after 19+ years of public action between the Nasdaq and OTC Markets Group. Seemingly snuck in out of nowhere. A year later in January 2019, Valley of the Boom on NatGeo documented it in a six-episode miniseries. Not coincidence. iPhone’s 10 year chart for TGLO shows the awakening after years of dormancy… it’s important to ask - why? You have a good idea what I believe happens next. TGLO is a Global cooperation as much as Cryptos are a native internet currency that will be acceptable globally. We are witnessing a setup for a revolution. The Earth has never made such an achievement in ingenuity, until the feat is publicly revealed. Some of us see it though… and I write about it… you can’t fool everyone with freedom of information. Some people like making money and using opportunities to their advantage. I am trying to become one of those people and if you believe me, all you have to do is spend a few hundred dollars here and there investing in these projects and you may come out a lottery winner yourself. (Reuters) — Chief executives of some of the largest U.S. banks appeared before Congress on Wednesday, giving lawmakers their first opportunity to grill the lenders since the 2007–2009 financial crisis. On September 15, 2008, the firm filed for Chapter 11 bankruptcy protection following the massive exodus of most of its clients, drastic losses in its stock, and devaluation of assets by credit rating agencies, largely sparked by Lehman’s involvement in the subprime mortgage crisis, and its exposure to less liquid assets. Lehman’s bankruptcy filing is the largest in US history, and is thought to have played a major role in the unfolding of the financial crisis of 2007–08. The market collapse also gave support to the “Too Big To Fail” doctrine. One of those who think that Facebook could yet go the way of previously dominant technology giants, such as Yahoo or even its predecessor in the social networking sector, Myspace, is Stephan Paternot. He found fame as the youngest-ever chief executive of a public company when theglobe.com, the social network he and fellow Cornell University student Todd Krizelman created in their dorm room a decade before the emergence of Mark Zuckerberg and Facebook. It turned out to be a short-lived experience as theglobe.com was one of the casualties of the 2001 dot-com bust. But Paternot is back in the public eye reminding us — through the screening of the “hybrid” dramatised documentary series Valley of the Boom and through the twentieth-anniversary re-publication of his vivid memoir A Very Public Offering — that success can be sudden and fleeting. Paternot, who sees his book as a way of offering “lessons for a new generation of entrepreneurs”, says he does not believe these companies can do the about-turn required. With everybody now focused on privacy and data, “a counterculture is emerging on the internet,” with a lot of new innovators. In other words, in an environment where disruption is the name of the game, even (or maybe especially) the biggest players are at the mercy of fresh disruption. Instead ask: how much of what you know about business is shaped by mistaken reactions to past mistakes? The bold text on top is true in my own experiences. Not all contrarian views to the norm are true automatically. Thus is takes a deep dive down the rabbit hole of facts as well as another action (in bold text at the bottom )— that one must think for them self. I don’t do this to be contrarian, in the present day it just is contrarian. I find that when I can’t make up my mind or I’m vague on a topic the best course of action is to dig back in and research until I find the facts I need to make a decision on how I view something. That’s how I interpret these lessons from Thiel’s Zero to One. One day, when I have the time, I will read the book in its entirety to reflect on my experiences in this era of my life. Paternot is telling us to question the fallibility of companies that have grown since the dot-com crash he was a part of. His involvement in the film industry and interest in acting help me realize he played a real role as much as he acted — he’s a hybrid contributor to something great that he helped shape. That contribution I equate to any contribution. All of these characters are part of the Anthos, they all are Satoshi. The best is yet to come. I don’t need to mention how Thiel is also involved in roots at PayPal, Space Companies, in Political campaign funding and support (see current president). It’s a collective. I just feel like Paternot is echoing what I believe I have been doing naturally when I started to question common thought and authorities that report news to citizens every single day. I just didn’t buy it. It isn’t immigrants fault, political parties sole faults, bankers faults, rich or poor people’s faults. I ignored it and asked, why try to stir so much drama? Yesterday I read about Anthos. Overnight I couldn’t get the description of the Greek tragedy “Anthos” off my mind. It just makes too much sense. So here we are, and I feel we are very close to the rest of society being introduced to what I have dug up and know. The Anthos is a good tragedy. Lehman Brother’s falling was a good tragedy. Now, we can finally possibly get a pleasurable ending financially, because that didn’t come in 2008. Unless that is later to be realized as the birth of BitCoin, cryptocurrency. It may just give many people who didn’t realize they were already participating unknowingly some benefits when they receive a post tax day amount of money in BitCoin that they weren’t expecting? I am speculating here, but how else to pay back US taxpayers. Something has to give in this country. Free lunch is over. Everyone contributed, I can only speak of the US involvement because I’ve experienced its markets and they’ve impacted my life. I turn 31 years-old on April 12 this week. I would love a birthday gift myself. Lending from Crypto to Banks: What’s Going on in DC Today? JPMorgan Chase & Co’s Jamie Dimon, Bank of America Corp’s Brian Moynihan, Citigroup Inc’s Mike Corbat, Goldman Sachs Group Inc’s David Solomon and Morgan Stanley’s James Gorman all faced off against the House Financial Services Committee. All the usual suspects. JPMorgan Chase & Co’s CEO Jamie Dimon for many reasons I have written about in this entry — is significant to the investments in both OTC Markets and Crypto. Bank of America Corp is interesting because they allow debit mastercard purchases on Coinbase.com but nowhere can one buy crypto at the moment with Bank of America Credit Cards on any major fiat on-ramp. Goldman Sachs Group Inc’s David Solomon was in Cupertino on March 25, 2019 for the introduction of his banks issued “Apple Card” — backed by Mastercard, but also another step closer to crypto imo. Morgan Stanley and Citigroup Inc’s representatives were also present. 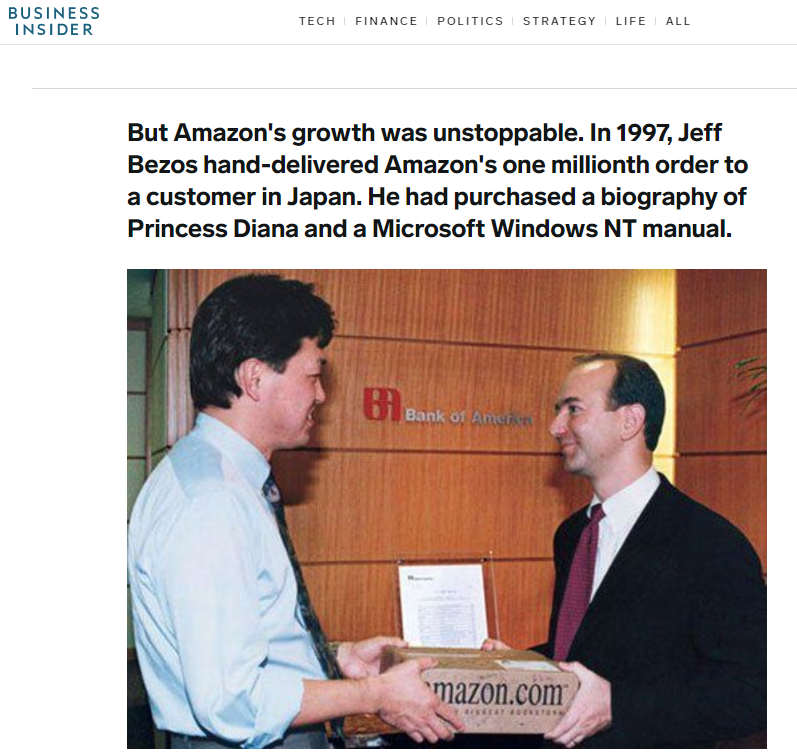 Bank of America in Japan was were Jeff Bezos personally delivered the 1,000,000 customer his order in 1997. Ah yes, Windows NT, the missing server needed for Bitcoin and TGLO to come together through IBM and Apple servers. Bank of America enters the game by taking down Amazon.com’s empire through Bitcoin and Windows NT. In bold: Who the f*ck cares? These people couldn’t convince me that if I jumped out of a plane that gravity would pull me to my imminent death if I didn’t equip with a parachute. So yes, these two are important banks to have at the resolution of this Anthos. Perhaps just to say hey, here’s what we have records of off-camera before the grand reveal and ending of a tragedy in a play I will not miss one bit. Of the CEOs on the panel, only JPMorgan’s Dimon was in the top job since before the financial crisis, having been named CEO in late 2005. Dimon reminded the panel of that during his introductory remarks, saying “we will never lose sight of what we learned,” but steps the bank took since the crisis have gone a long way to address concerns that contributed to the crisis. Maybe Jamie Dimon is a Satoshi on the highest level of Satoshis. Who knows? Maybe the bank leaders will tell the story of this Anthos-like simulation? They will help tie the ideal knot. It’s interesting and $800 billion in 10 years is pretty darn good if we’re just talking US Banks.